Visceral producer defends decision to add paid content to the single player campaign. If the introduction of microtransactions in Dead Space 3 has left you a bit sour, you're not alone; Fans far and wide have expressed their displeasure with developer Visceral's decision to include paid perks to the single player experience. But if the move strikes you as a cash grab, Dead Space 3 Producer John Calhoun wants to disavow you of that notion. Speaking with Gameplanet, Calhoun insists that money was not a motivating factor in the decision. "EA leaves us alone. Almost every decision when it comes to the game is ours and ours alone," Calhoun explains in regards to who made the call to include paid weapon and credit packs. "We're trying to find ways to make sure that Dead Space 3 is really accessible. That doesn't mean we're going to sacrifice who we are or what the core tenets of Dead Space are in order to attract new players. Dead Space 3 shares the exact same DNA as Dead Space 1 and Dead Space 2." Adding later, "The last thing we think about is monetization." Regardless of your personal position on the matter, it's not difficult to understand why some fans of the survival horror franchise are upset. 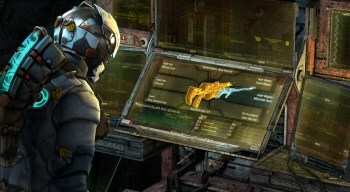 Yesterday it was revealed that Dead Space 3 will offer nearly $40 worth of optional weapon and resource packs. Despite this, Visceral insists that the game isn't "pay to win," and the bonus packs are simply there as a tool to make the game more accessible to all types of players. What's your stance? Will you be dropping some extra cash on weapons and gear, or are you planning to play it as a true survival horror experience?